EASY ACCESS - Located in an industrial area without charm, inside the 15 plays Zen contrasts with soft romantic music and designer furnishings. The kitchen, it is 100% homemade and rather inventive. Chef Sébastien will share his passion for cooking. CREATION AS RATIONALE - Do not look for a gourmet restaurant, let alone a traditional table. Here, we have fun, we create, we dare ... 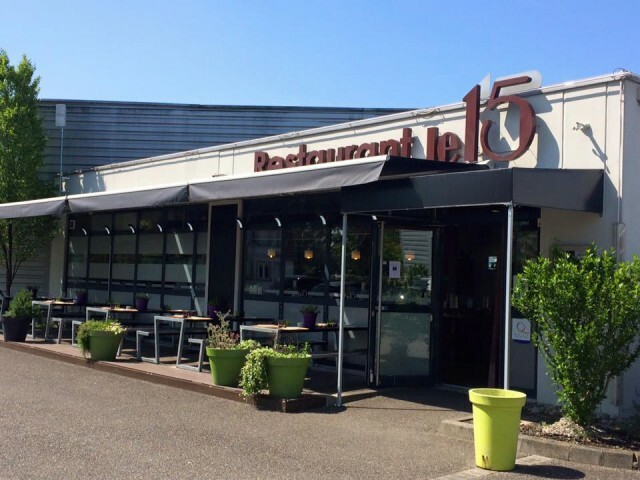 The chef offers homemade food, good humor tinged with dishes like smoked salmon 15 hours or foie gras with Noilly Prat. IS THAT YOU SEE - Come with your heart, forget your usual criteria and indulge in a good time. This is what Sébastien wanted, make his restaurant a friendly place, or we come to share and feel good.